5 * luxury two bedroom lodge set in woodlands close to the beach and to shops pubs and restaurants in the village of New Quay, famous for the Cardigan Bay dolphins. Luxury Lodge on award winning park with outside decking to enjoy the sunshine all day, it comes fully equipped with everything you will need for your holiday with two bedrooms (sleeps 6 with sofa bed), fitted kitchen, dining area and sitting room. 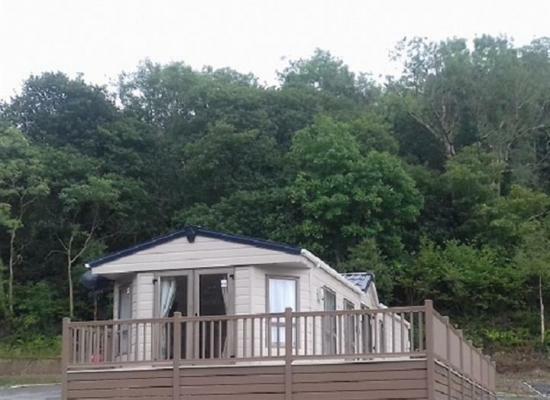 Hazel Lodge is a modern, stylish and spacious 5* lodge on a popular David Bellamy Gold Conservation award winning park near to the seaside resort of New Quay in Mid Wales surrounded by peaceful countryside and close to plenty of dog friendly beaches.